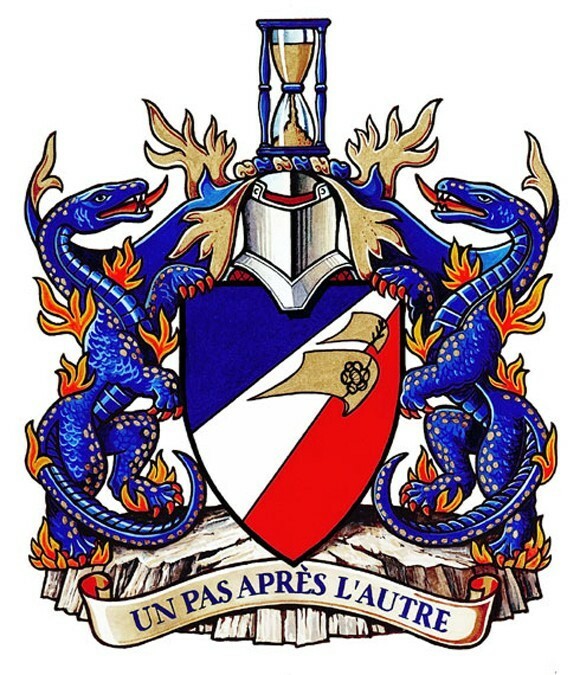 To see Coat of Arms and to learn more about the symbol and the elements that compose it click here. Adopted in 1986, it is a symbol of the pride and vitality of Newfoundland and Labrador's Francophones. The Franco-Newfoundland and Labrador flag is composed of the blue, white and red colours illustrating their French origins. The two sails remind us of the arrival of the first Europeans. Their swelling and oblique lines suggest action: always forward. 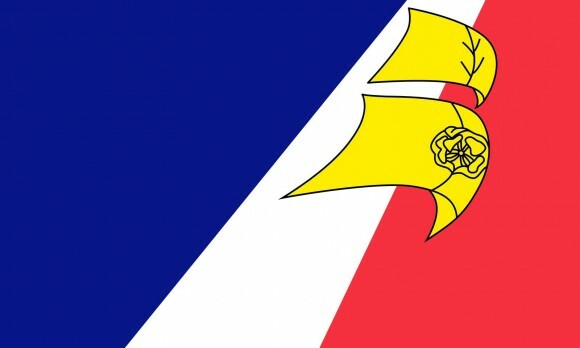 The yellow of the two sails is the colour of the Acadian star and was used by the first settlers to colour their fleur-de-lis. The upper sail is decorated with a branch of Tamarack, the emblem of Labrador, and the large one of a Pitcher Plant, the official floral emblem of the province.